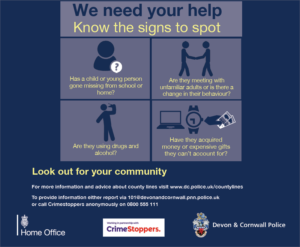 Our Safeguarding Children Partnership and Safer Cornwall is coordinating and supporting an education campaign aimed at the hospitality industry as part of a wider Devon and Cornwall Police campaign called ‘I didn’t know’ from 26th to 28th September 2018. It follows on from the National Child Sexual Exploitation Day in March 2018 and highlights how the hospitality industry may spot signs and report and gain support. Child exploitation is a form of abuse that involves the manipulation or coercion of young people into sexual or criminal activity, and there have been many harrowing stories where children have been targeted and groomed. The ‘I didn’t know’ message aims to highlight child sexual exploitation and encourage everyone to adopt a zero tolerance to the exploitation of children. Hotels and B&Bs are in a unique position to help – evidence shows that accommodation is often used as a location to meet, groom and abuse children (both girls and boys). Exploited children are almost always too terrified to ask for help themselves. Receptionists, managers and housekeepers are in a unique position to notice when someone or something seems suspicious or may not all be ok with young guests. By passing their concerns on to the police, they could potentially save a child from exploitation/further exploitation. A number of potential victims receiving specialist support. Specialist officers executed a warrant at Bosahan Farm, which is a flower picking farm near Manaccan, Helston this morning (Thursday 8 February) on the suspicion that modern slavery offences were taking place against migrant workers. 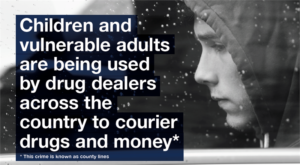 Following this, a 61-year-old man and a 41-year-old man have been arrested on suspicion of Modern Slavery offences. 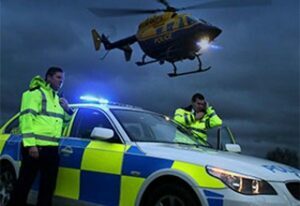 A 49-year-old man was arrested on suspicion of being an unlicensed gangmaster. All three men are local to Helston, and all three remain in police custody. Around 200 migrant workers at the farm had their welfare safeguarded by Cornwall Council with support from The Salvation Army and the British Red Cross. Of these, fourteen men and women believed to be aged between 17-40 have elected to seek help through a National Referral Mechanism which means that potential victims are offered support. IF YOU TO REPORT, NEED HELP, ADVICE OR INFORMATION ABOUT ANY MODERN SLAVERY ISSUE YOU CAN CONTACT THE MODERN SLAVERY HELPLINE, CONFIDENTIALLY, 24 HOURS A DAY, 365 DAYS A YEAR.